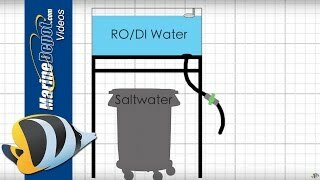 We have assembled a high quality yet economical water purifying system that turns ordinary tap water into ultra-pure, zero-TDS, water for your aquarium. Harmful impurities such as nitrates, phosphates, silicates, pesticides, heavy metals are removed though filtration and absorption; leaving behind KleanWater as nature intended! Easy to setup. Good instructions. This product was easy to set up, came with detailed instructions. Setup time was about 1 hour including running the water through the stages as described in the instructions. One thing I wish this came with were the pressure gauge and the TDS meter. I purchased this unit to make my life easier with top offs and water changes to my 90 gallon tank. It was easy to set up, and works great. 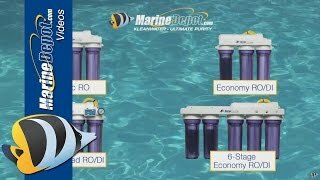 This really makes getting great water quality easy. Works very well. Couldn't be happier. Excellent product. A great low cost filter. Taking my 379ppm water to 1ppm. That said, note the dimensions won't fit under-cabinet where many would like to mount.